Pricing can be found under the pricing and purchase tab for software and course purchasing pages for workshops. All amounts are in US$ unless otherwise noted. Biostat will not issue refunds after software has been unlocked. For course registrations, the cancellation policy is available here. We send e-mails periodically and sometimes exchange lists with other carefully selected providers of statistical software. Your information will never be rented or sold to other organizations. We honor all unsubscribe requests immediately. Biostat's services and invoicing often requires users to provide contact information. This information is used by Biostat internally for performing requested essential functions, such as charging a credit card. This site has extensive security measures in place to protect the loss, misuse, and alteration of the information under our control. These measures include industry standard 128 bit SSL (secure socket layer) encryption, automatic system updates, an aggressive firewall, and signed security certificates which verify the identity of the site. All site content copyright 2019, Biostat. Some images used under license, including images from Adam.J.W.C. THIS WEBSITE AND INFORMATION WITHIN IS PROVIDED "AS IS" WITHOUT WARRANTY OF ANY KIND, EITHER EXPRESS OR IMPLIED, INCLUDING, BUT NOT LIMITED TO, THE IMPLIED WARRANTIES OF MERCHANTABILITY, FITNESS FOR A PARTICULAR PURPOSE, OR NON-INFRINGEMENT. THIS WEB SITE COULD INCLUDE TECHNICAL INACCURACIES OR TYPOGRAPHICAL ERRORS. CHANGES ARE PERIODICALLY MADE TO THE INFORMATION HEREIN; THESE CHANGES WILL BE INCORPORATED IN NEW EDITIONS OF THE WEBSITE. BIOSTAT MAY MAKE IMPROVEMENTS AND/OR CHANGES IN SERVICES DESCRIBED HEREIN AT ANY TIME. For further information, please contact Biostat at +1 (201) 541-5688 or support@meta-analysis.com. 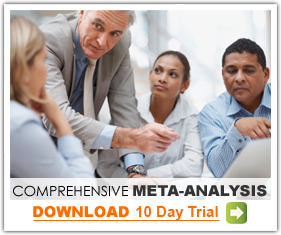 Billing questions may be directed to support@meta-analysis.com as well. Biostat does not ship discs or manuals. Software is downloaded from our website and registration records are electronic. Installation instructions are provided within two business days after payment is received. Your credit card will be billed at time of checkout, and if we cannot fulfill your order, the charge will be refunded. See refund/cancellation policy for information on returns. THIS IS A LEGAL AGREEMENT BETWEEN YOU (EITHER AN INDIVIDUAL OR ENTITY) AND BIOSTAT TO USE A SINGLE-USER VERSION OF THE BIOSTAT SOFTWARE (hereinafter "SOFTWARE"). If you do not agree to the terms of this License Agreement, immediately return the package. This License Agreement shall apply only if you have not signed another BIOSTAT License Agreement for this SOFTWARE. This SOFTWARE is protected by both United States copyright law and international copyright treaty provisions. BIOSTAT grants you a non-exclusive license to use the SOFTWARE in accordance with the following terms. BIOSTAT retains title and all ownership rights to the SOFTWARE. BIOSTAT grants you a single-user license which allows one (1) designated individual, and only one (1) individual, the right to install and use the SOFTWARE on a home, work and portable computer. BIOSTAT grants you the right to make one (1) archival copy of the SOFTWARE for the sole purpose of backing up the SOFTWARE and protecting your investment from loss. BIOSTAT further grants you the right to transfer this license and the SOFTWARE to another party provided: 1) the other party accepts all terms of this agreement; 2) all copies of the SOFTWARE are transferred and you discontinue use of the SOFTWARE after transferring; 3) BIOSTAT is promptly notified of the name and address of the other party and the serial number of the SOFTWARE; and 4) BIOSTAT is not required to supply new media. Failure to comply with any of these terms will terminate this agreement and your right to use the SOFTWARE. You may also choose to terminate the agreement at any time. Upon termination of this agreement, you must immediately destroy the SOFTWARE and all copies of it. The media on which the SOFTWARE is furnished is warranted to be free of defects in workmanship and material under normal use for a period of sixty (60) days from the date of purchase by you. BIOSTAT and its suppliers' sole responsibility and your exclusive remedy under this warranty will be to receive a replacement of the media or a full refund if BIOSTAT or its suppliers are unable to deliver media free from defects in workmanship and materials. You alone are responsible for determining which SOFTWARE best meets your particular needs for installing SOFTWARE and for the results obtained. THIS SOFTWARE IS LICENSED "AS IS" WITHOUT WARRANTY AS TO ITS PERFORMANCE. EXCEPT FOR THE MEDIA WARRANTY PROVIDED ABOVE, THERE ARE NO WARRANTIES EXPRESSED OR IMPLIED, INCLUDING BUT NOT LIMITED TO IMPLIED WARRANTIES OF MERCHANTABILITY OR FITNESS FOR A PARTICULAR PURPOSE, AND ALL SUCH WARRANTIES ARE EXPRESSLY DISCLAIMED. IN NO EVENT SHALL BIOSTAT OR ITS SUPPLIERS BE RESPONSIBLE FOR ANY INDIRECT OR CONSEQUENTIAL DAMAGES OR LOST PROFITS, EVEN IF BIOSTAT AND ITS SUPPLIERS HAD BEEN ADVISED OF THE POSSIBILITY OF SUCH DAMAGE. SOME STATES DO NOT ALLOW THE EXCLUSION OR LIMITATION OF IMPLIED WARRANTIES OR LIABILITY FOR INCIDENTAL OR CONSEQUENTIAL DAMAGES, SO THE ABOVE LIMITATION MAY NOT APPLY TO YOU. You are NOT permitted to copy or sublicense the SOFTWARE except as specifically authorized above. You are not permitted to modify, reverse engineer, disassemble, decompile, nor redistribute all or any part of the SOFTWARE; to use the SOFTWARE as an application development tool; nor to create, copy, sublicense, nor distribute a library derived from the SOFTWARE. If you wish to transfer the SOFTWARE to a new machine and new media is required, then you must contact BIOSTAT for procedures and possible fees associated with the transfer. You may not sublicense, assign or transfer the license or the SOFTWARE except as expressly provided in this agreement. Any attempt otherwise to sublicense, assign or transfer any of the rights, duties or obligations hereunder is void. This agreement will be governed by the laws of the state of New Jersey. Unless another BIOSTAT Agreement has been signed for this SOFTWARE, you acknowledge that this agreement supersedes all prior agreements, proposals, representations and communications between the parties relating to the subject matter herein. In the case of conflict between this agreement and purchase orders issued for the SOFTWARE, the terms of this agreement shall prevail. You may return the SOFTWARE only in accordance with the return policy of BIOSTAT Contact your BIOSTAT representative for the proper procedure. The SOFTWARE and documentation are provided with Restricted Rights. Use, duplication, or disclosure by the Government is subject to restrictions as set forth in subparagraph (c)(1) of the Rights in Technical Data and Computer SOFTWARE clause at DFARS 252.227-7013 or subparagraphs (c)(1)(ii) and (2) of Commercial Computer SOFTWARE- Restricted Rights at 48 CFR 52.227-19, as applicable. Contractor/manufacturer is BIOSTAT, 14 North Dean Street, Englewood, NJ 07631.